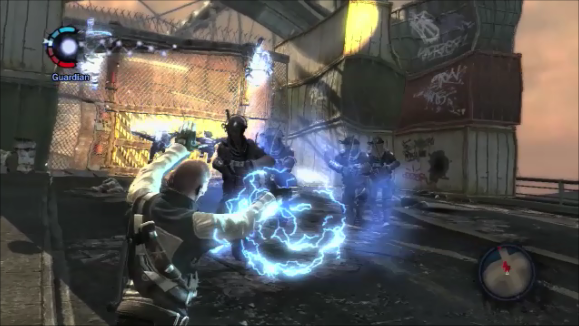 Infamous is an open world 3rd person action shooter and a PlayStation exclusive title. You have the choice to either play the game as an evil hero that gets the job done and it does not matter who else gets hurt or you can be a real hero and stop what is happening and protect all of the good people in the city. Cole MacGrath is a bike messenger who is hired to deliver a package when it suddenly blows up and devastates Empire City but Cole survives somehow survives the blast and has super powers related to electricity. He is not the only on, now he has been recruited to stop others that have been given powers that are causing trouble and find out who sent the package in the first place and why him? 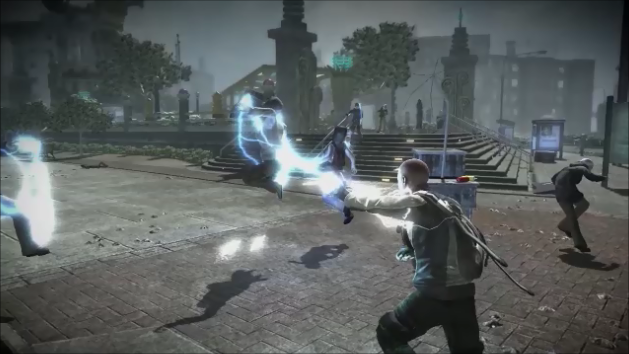 Good and bad choice games are not new but in inFamous they have a major impact on how the story plays out and what powers you unlock. We went either all good or all bad to unlock the powers. There are good and bad choices in the main storyline and smaller side quest choices but there is also 15 major side missions that you get to be evil or good. Every 5 good or bad decision unlocks a power and there are 3 powers in each good or bad choice. So to get all the good powers you must do all 15 sides missions the good way and the same for bad choices. This also has an effect on Infamous 2 because there is some carry over on how you play. The story is excellent from beginning to end and it does not matter if you are good or evil. Technically this is a superhero or super villain origin story. Who side is everybody on is not given away till the end and there are things that you don’t see coming. 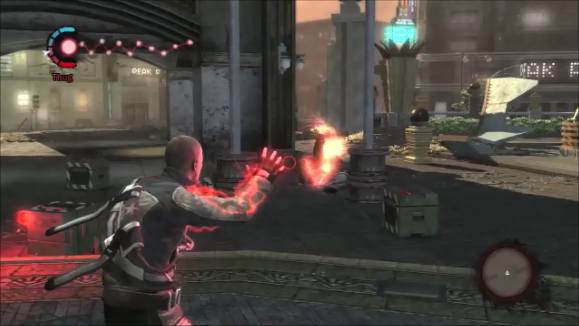 InFamous has very fast pace action. Thankfully the controls, camera and combat are mostly spot on. The camera at times has a little issue that effect aiming but it is not too bad. This becomes worse sometimes because the bad guys and the good guys all look the same so, you will miss a target here and there or hit stuff you did not mean to hit. You can’t tell them apart and this hurts the combat and there is no auto aim. There are only a few major boss battles but there are several mid-level bosses all over the game. Traveling around the city takes some time but there are very cool ways to get around the city. You have to go underground and turn on the power and each time you do you get a new electric upgrade. So, even though going underground looks the same it does not play the same. That can be said about the whole game. Side mission are mostly doing the same things but it is fun each time and they are engaging and you want to keep doing them. We did wish that there was more places to draw power from and even though there are three different island to explore than all looked and played the same but that is a minor grip. The platforming in InFamous is epic, it is some of the best we have every played, climbing and gliding from buildings keeps things interesting. It took us about 20 hours to beat the game the first time through. So, if you play doing the bad choices and then doing the good choices you will get close to 40 hours of gameplay. That is doing all 15 side missions. Side mission effect how the main missions go. For example, if you are being good then it is easier to get through the city if you clear out all the gangs. 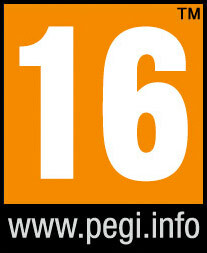 Get game to buy even at new game prices of $60.00 and replay is high. 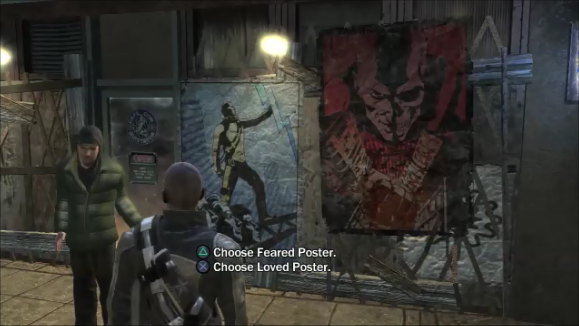 You will want to try being evil and good and remember it transfer to Infamous 2.